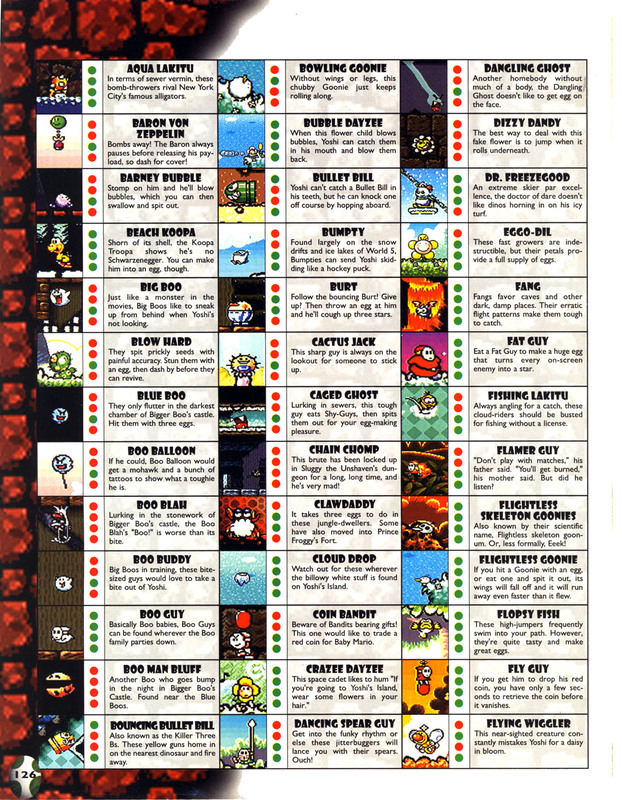 Dr. Freezegoods are snowmen wearing fez hats that are found in Super Mario World 2: Yoshi's Island, Yoshi's Island: Super Mario Advance 3 and Yoshi's New Island. They ride ski lifts in World 5 and stand completely still unless they drop off on a slope. Yoshi cannot eat them, but he can step on their heads to rack up a few coins and defeat them. They're harmless to touch, but they do hog up the ski lift platforms, which can become a bit of a nuisance as they are solid and can therefore push the Yoshis around. A certain Dr. Freezegood appeared in Tetris Attack, allied with Bumpty. 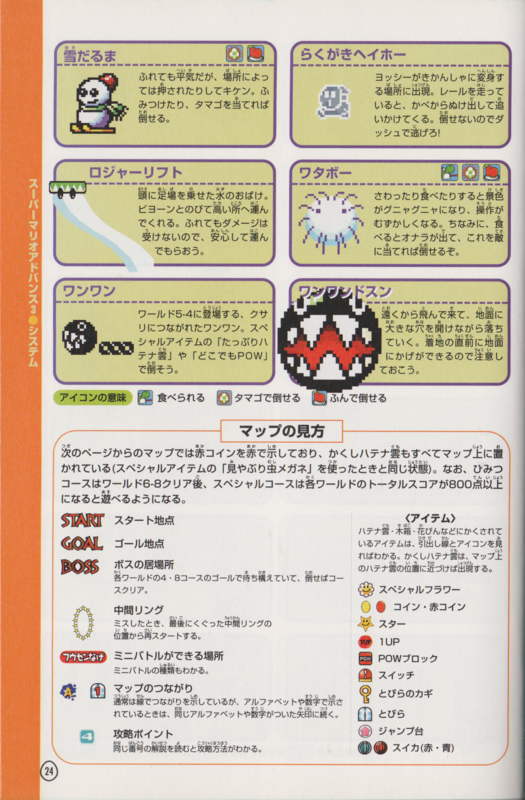 ↑ 「スーパーマリオアドバンス3任天堂公式ガイドブック」 (Super Mario Advance 3 Nintendo Kōshiki Guidebook), page 24. This page was last edited on January 25, 2019, at 03:35.